As the recent protests kicked-off in Egypt two weeks ago, I was working on a thesis chapter about the history of the Universal Declaration of Human Rights (UDHR). In particular, I was looking at the drafting process and the intellectual debates that defined the famous human rights document. A key figure in that debate was the Lebanese representative, Charles Habib Malik, and I thought it worth pausing to remember an important figure in the contemporary human rights movement, who did much to develop human rights both intellectually and politically. 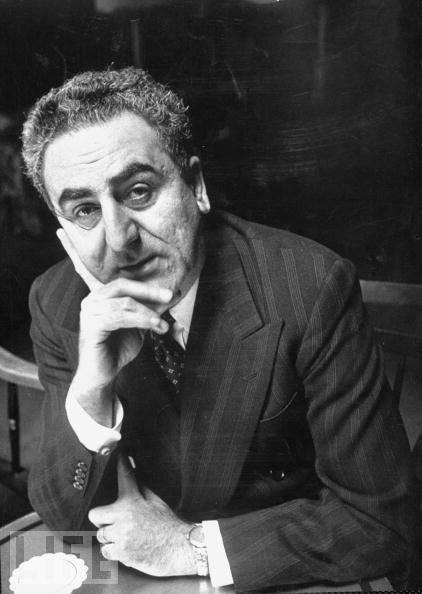 Malik defined himself as Lebanese, Christian and Arab – identities that importantly influenced his thinking and defense of human rights as a moral and political project. Despite claims that he was “Westernized” and that he was clearly a strong opponent of international communism, Malik was not a conventional Western liberal. In particular, he clearly saw himself as a fundamentally religious thinker whose political project was not only the defense of individual rights but ensuring the equal standing of Arab countries in world politics, which went together with a more general concern for securing the independence of colonized peoples and the protection of small states from great powers. Independence springs from the Arab sense of the difference from others, a sense that has been sharpened in recent centuries by the relative isolation of the Arabs from the rest of the world. Unity takes on many modalities: from the mild form of general community and consultation enshrined in the Arab League to the extreme form of complete political unification desired by certain nationalist movements, particularly in Iraq and Syria. But regardless of its modality, every Arab feels an immediate mystical unity with every other Arab. Lack of love. Strategy, commerce, exploitation, securing an imperial route: these were why the West for the most part came to the Near East, not because it loved us. Add to this the immense racial arrogance of modern Europe. The West has not been true to itself, and therefore it could not have been true to us. His support of Arab independence, however, was not nationalistic; at least not in any conventional sense. Lebanon, undoubtedly mythologized in his own thinking, provided the clearest example of the religious and political pluralism he felt states should pursue. Nothing concerns and stirs us more deeply in Lebanon than the problem of human rights and fundamental freedoms. The history of my country for centuries is precisely that of a small country struggling against all odds for the maintenance and strengthening of real freedom of thought and conscience. Innumerable persecuted minorities have found, throughout the ages, a most understanding haven in my country, so that the very basis of our existence is complete respect of differences of opinion and belief. Further, the sort of pluralism embodied in Malik’s ideal Lebanon provided an answer to what he saw as the crucial challenge of modernity, which was that as human beings were exposed to the equalizing forces of modern life they were left in a malaise of moral confusion and risked losing the inherent dignity of every individual – for Malik, modernity presented a grand opportunity of emancipation from hierarchy but ran a terrifying risk of meaninglessness. The one great modern phenomenon is the rise of the masses, the destruction of hierarchy, the levelling down of distinction and structure. The term ‘the masses’ is here employed in an ontological sense: it refers to the kind of being and valuation of the masses. This rise is necessarily also a revolt and, as such, it was accurately described and predicted by Nietzsche and Dostoyevsky, and in our own days no one has been more sensitive to it than Ortega y Gasset and Heideggar. The phenomenon of ‘das Man’ in Heidegger’s Sien und Zeit is the most wonderful philosophical description I know of this characterless, dark, distracted, gossipy, irresponsible, self-lost, impersonal, indecisive and unauthentic spirit of the masses. The present issue of human rights may be interpreted as an attempt at restoring the sense of responsible, authentic, personal dignity to the individual human being. The religious pluralism and commitment to liberty he found in his homeland made it possible to protect the individual from the totalizing forces of the contemporary state and competing ideologies, while preserving the space for the forms of human association which could grant a renewed sense of meaning in a freer world. This is the great problem of personal freedom. How is my personal freedom limited by society? May I freely examine any issue, may I criticize, may I express my criticism, may I rebel and oppose and say No! to my group or government or nation? Or am I wholly determined by my social relations so that I have no right to rebel, no right to ask questions, no right to look around and seek, no right to lift my head above the crowd and reach forth to the light and truth? We intend to say that the people are active and take the initiative in the determination of the State. It is not as though you come to the people, offer them something, and they consent to it. it is our intention that originally the people, themselves, take the initiative in determining what the state should be. Malik’s dedication to the cause of freedom and human rights is also interesting because of his fundamentally religious orientation, a point worth emphasizing given all the contemporary worry that Arab (Muslim) religious belief undermines the possibility of stable democracy and political freedom. His appeal to a human essence was explicitly a response to the moral disenchantment of modernity, but his faith justified a commitment to individual conscience as necessary to knowledge of truth and an expression of humanity’s highest essence, which justified equal liberty and respect without resorting to traditional hierarchical systems of religious belief. These intermediate institutions between the State and the individual are, I am convinced, the real sources of our freedom and our rights. The tragedy of the modern world is that these real grounds of freedom are in danger of decay. The family is subject to terrible strains, the church is on the defensive, modern man has no friends, truth has become a matter of pragmatic convenience. But unless the proposed Bill of Rights can create conditions which will allow man to develop ultimate loyalties with respect to these intermediate sources of freedom, over and above his loyalty to the State, we shall have legislated not for man’s freedom but for his virtual enslavement. It is true I am told I have duties to the community; but these duties are not simpliciter, they are not absolute: I have duties to the community in which alone the free and full development of my personality is possible. My duties are not to any community; they are only to the community in which my personality can be developed. Then also, it is not any development of my personality that is envisaged; even the full development of my personality is not enough: this full development must also be free. To further add to his impressive background, Malik was a philosopher by training and worked with both Alfred North Whitehead and Martin Heidegger as a PhD student, and his background in late-modern philosophy gave a distinctive cast to his conception of freedom. He argued that the most fundamental freedom was the freedom to change – or a freedom of becoming as opposed to a freedom of being. This was important politically because Malik thought individual liberty was most vitally about preserving the space for human beings to follow their conscience and exercise their freedom in the ongoing process of development. If we have any contribution to make, it is in the field of fundamental freedom, namely, freedom of thought, freedom of conscience and freedom of being. And there is one point on which we wish to insist more than anything else, namely that it is not enough to be, it is not enough to be free to be what you are. You must also be free to become what your conscience requires you to become in light of your best knowledge. It is therefore freedom of becoming, of change that we stress as much as freedom of being. Malik was a central figure in the thinking behind the UDHR and was an active participant in the drafting process. 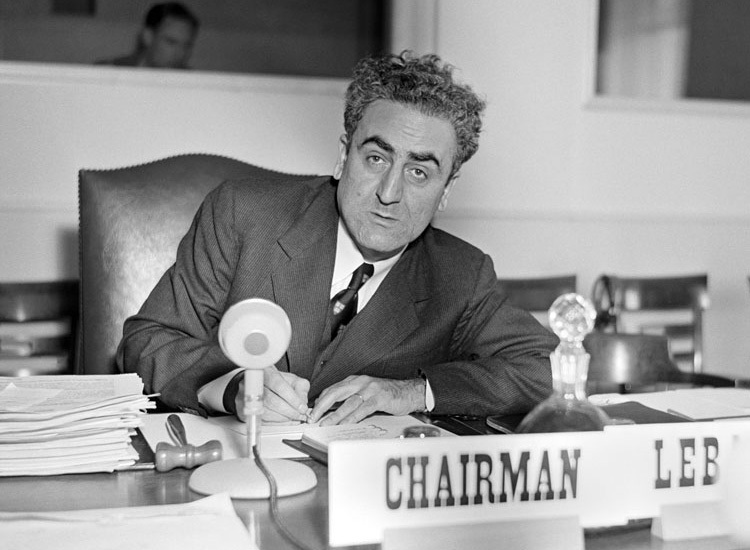 More surprisingly for a man who thought himself unsuited to political work, he proved to be a shrewd politician who was instrumental in getting the UDHR approved in December of 1948. Further details of his role can be found here. In the end, I have no broader point to conclude on, other than to offer this quick introduction to an important figure in the history of human rights and suggest that he would, I think, find the ongoing events in Egypt encouraging – reveling in the non-violent struggle of Egyptians for greater freedom – while also worrying about the dangers that the individuals in the street face from the coercive forces of a corrupt government, the moral-indifference of powerful states and the danger that freedom might degenerate into a mob rule. Malik spoke often and with real conviction of the importance of moral leadership for those committed to human rights and the importance of love in our dealings with others – fuzzy notions perhaps – but worth considering, especially from a man who was certainly not naive about world politics. Read Said “Out of Place” p. 263 f.
Thanks for the note. I suspect I’d share some of Said’s trepidation about Malik’s views, especially the *way* he privileges individual conscience. I’ve only come across him in the context of his work at the UN and know little of his later life in Lebanon and during the civil war – though a commitment to Christian mission would certainly represent a break or tension with his earlier writing about Lebanese pluralism. I have to admit my primary interest in figures like Malik is to expand the thinkers normally associated with the study of international politics – incidentally, I think Said is a similar figure, but one with more relevance and who has begun to receive the attention due. Not sure you’re background or interests, but the journal Millennium had a forum on Said as an international thinker, Vol 36 (1), 2007.
why you are implying that siding with Gamayel and the Christian falangists is a bad thing? Malik during the the Lebanese civil war was popularly known as the intellectual driving force / ideologue of the Lebanese Front, a conglomerate of right-wing fascist groups. He once hailed Hafez Asad for his military involvement in Lebanon and oftenly used racist slurs in his writings, lectures, pamphlets, etc during that bloody civil war.